CLOVERFIELD 4K ULTRA HD. (DVD Artwork). ©Paramount. Producer J.J. Abrams’ and director Matt Reeves’ monster hits “Cloverfield” and “10 Cloverfield Lane” arrive on 4K Ultra HD for the first time ever Tuesday Jan. 23 from Paramount Home Media Distribution. 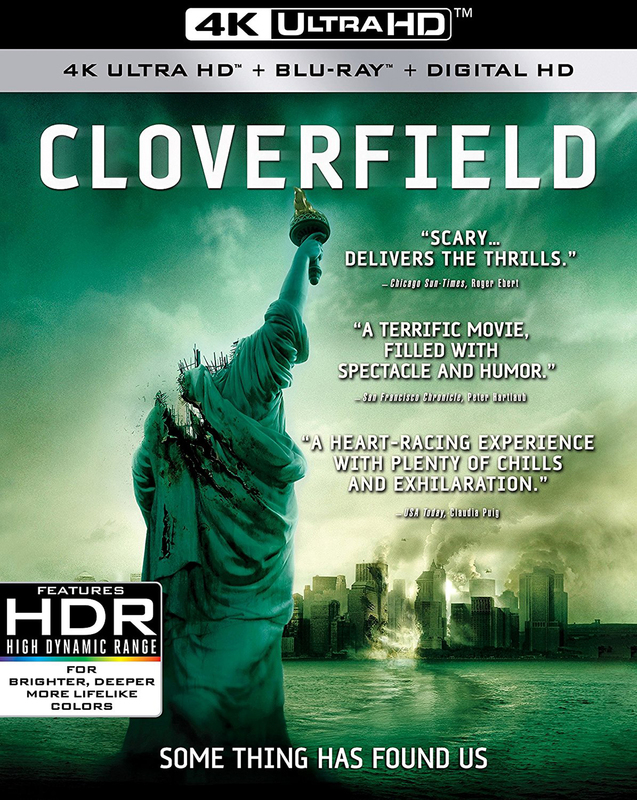 Celebrating its 10th anniversary this year, the groundbreaking sci-fi actioner “Cloverfield” thrilled critics and audiences alike with its shocking, first-person video account of a horrifying attack on Manhattan by an unknown and seemingly unstoppable unexplained force. Filled with action and spectacle, the film offers an eye-popping experience in a 4K Ultra HD/Blu-ray Combo Pack. The Blu-ray features more than an hour of bonus content including commentary by director Matt Reeves, a making of featurette, deleted scenes, alternate endings and more. “10 Cloverfield Lane,” the 2016 sequel, delivers suspense and memorable performances by John Goodman and Mary Elizabeth Winstead as survivals of a supposed apocalyptic attack. 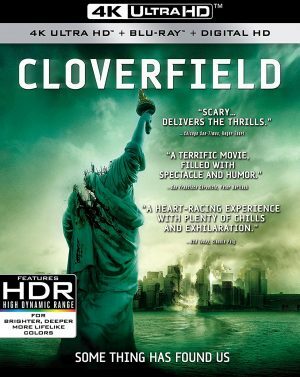 The 4K Ultra HD/Blu-ray Combo Pack includes commentary by director Dan Trachtenberg and producer Abrams, plus seven featurettes exploring the production and its connection to the original “Cloverfield (bonus features on Blu-ray). Ian McShane, Ray Winstone, and Johnny Harris star in the hard-hitting action-thriller “Jawbone,” arriving on DVD, Digital, and On Demand Tuesday Jan. 23 from Lionsgate. The stakes are high in this poignant tale of friendship, forgiveness, and salvation as former prizefighter Jimmy McCabe, played by Johnny Harris, reenters the ring for the fight of his life. In this engrossing action-thriller, retired prizefighter Jimmy McCabe (Johnny Harris, “RocknRolla”) steps back into the ring decades after his stardom as a boxing teen have faded. Jimmy tries to regain his magic by training hard and fighting tough. But to earn real money, he must take part in a savage, unlicensed match that could end his career — and his life. Also starring Ian McShane (“American Gods”) and Ray Winstone (“The Departed”), “Jawbone” reveals that our most brutal battles are with ourselves. With performances and music by The Jam’s Paul Weller, the “Jawbone” DVD includes a making-of featurette and will be available for the suggested retail price (SRP) of $19.98. “A Dog and Pony Show” arrives on DVD, Digital and On Demand Tuesday Jan. 23 from Lionsgate. 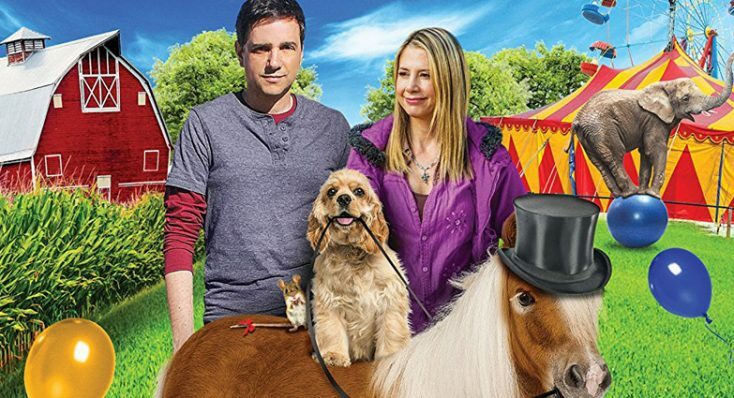 Starring Mae Whitman, Ralph Macchio and Academy Award winner Mira Sorvino (“Mighty Aphrodite”), this tale of two best friends—a circus dog and a pony—is filled with valuable life lessons. This family comedy tells the story of Dede, a famous performing circus dog who gets left behind when her show leaves town. She’s discovered by Billy, a lonely city kid who’s just moved to a ranch nearby. Billy decides to adopt the vain and arrogant dog, and brings her to his farm where there are eccentric critters, including a sleep-deprived rooster, a gassy cow, and a hypochondriac horse. Dede has to outwit the bumbling thieves from a rival circus who are plotting to kidnap the priceless pooch. Approved by the Dove Foundation for all ages, “A Dog and Pony Show” will be available on DVD for the suggested retail price of $19.98. Kurtis Spieler’s spine-chilling “The Devil’s Well,” on DVD Tuesday Jan. 23 from Wild Eye Releasing. Karla Marks mysteriously vanishes while conducting a paranormal investigation with her husband into the Devil’s Well, an underground location reported to be a gateway straight into hell, and the site of ongoing strange phenomenon. A year after her disappearance, a group of investigators go back to uncover the truth about Karla, and are faced with evil forces greater than they ever imagined. Winner of the Gold Award at the Spotlight Horror Film Awards, and featuring a superb line-up including Bryan Manley Davis (“Sheep Skin”), Chris Viemeister (“Bridge and Tunnel”), David Alexander (“Thelema the Equinox Diaries”), Kristen Seavey (“Nightwing: Escalation”), and Anne-Marie Mueschke (“Siberia”), “The Devil’s Well” is full to the top brick with bloodcurdling chills. ‘Black Panther,’ ‘Gladiator’ 4K Ultra HD, More Available on Home Entertainment … Plus a Giveaway!! !